VOLUNTEERS Marine Whitsunday will get a second smaller boat to help with water rescues in the region. The purchase of the boat got the go-ahead at a meeting recently, with 75 per cent of VMR Whitsunday members endorsing its purchase. 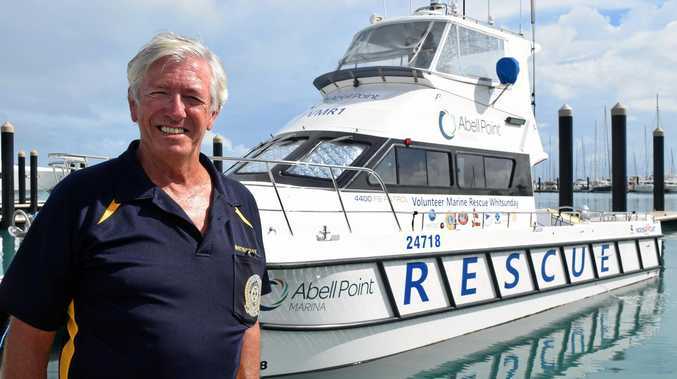 VMR Whitsunday president Mal Priday said the second boat would be an asset for the group and would have several uses. With 70 per cent of the group's activations being for vessels under eight metres long, Mr Priday said a smaller boat would be able to attend to many of these jobs. Just a couple of weeks ago, VMR was called to tow a boat from Bluff Bay, where a tender had to be sent in from 400m from shore to tow a four-and-a-half metre boat from the shore to the VMR boat which towed it back to the mainland. "If we had an inshore boat it could have gone straight in a towed it out,” Mr Priday said. Mr Priday said being able to use a smaller boat would also mean VMR Whitsunday would significantly reduce its operating costs. "If it only does 25 per cent of activations, it will save $5000 a year,” he said. 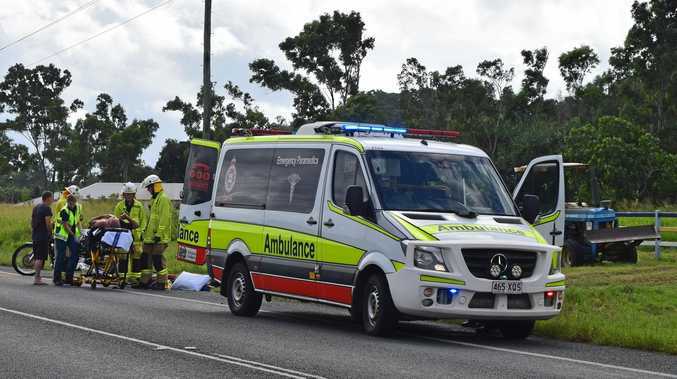 The smaller boat will only need three crew, rather than the three to four needed on the current vessel, so that would also lead to faster response times, Mr Priday said. The new boat could also be used as a second boat in search and rescue operations and would also be helpful for training exercises. However, the current boat would still be the primary boat used for medivacs - something the group is seeing more of. "I've lost count of how many medivacs we have done already this year - eight or 10,” Mr Priday said. VMR Whitsunday covers an area of 13,000 square kilometres from as far as Cape Gloucester, to Shaw, Lindeman and Thomas islands, and out to the outer reef. Last year the group's volunteers spent more than 2000 hours on the water in activations. This was more than five or six other VMR squadrons around the region, all of which had two or three boats, Mr Priday said. VMR Whitsunday is looking for a second-hand boat as its second vessel and plans to buy it as soon as something suitable comes on the market. A selection committee has been formed to recommend boats to the VMR management committee. The money to purchase the boat comes from the group's own fundraising efforts and sponsorship. A toga party being held at the Whitsunday Marine Club this Friday, is just one of the fundraisers being used to raise the funds to purchase the new boat.